Exotic Merbau wood was formerly found in Southeast part of Asia and Pacific Ocean Island. Within the industry of flooring and decking,Merbau Wood Floor is considered one of the most worthwhile and reliable wood. It is widely demanded and contemplated as high – quality timber. Solid Merbau Wood Floor can be used with least alteration. Due to its amazing feature of being naturally oily, lustre of the floor lasts for longer time and this gives enduring appeal. Heartwood is brown-grey to dark red-brown with various tints. The colour differences between individual boards are natural and common and form a very attractive appearance for demanding interiors. Merbau Wood is also available in various designs and texture that can be choose from, for enhancing interiors. This can be paint, stain and can get polished to get beautiful and attractive appearance. 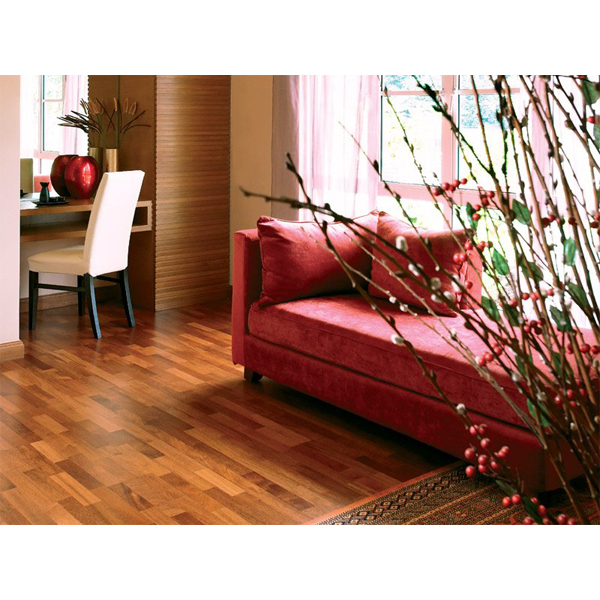 Merbau solid wood flooring is easy to clean, vacuum and maintain. Due to its feature of being stable against humidity, it’s one of the best choice to buy and apply in kitchens, bathrooms and other places where there are chances of humidity or wetness. One amazing thing to know is Merbau Wood Floor last for more than 50 years which in-turn indicates self as the money saver. Solid and veneer floor strips can be demanded with wooden floors. The basement of the strips is made from solid pine with veneer on surface as per your choice (oak, beech, cherry…). Surface of timber strips is lacquered, oiled or unfinished. African Ekowood Doussie hardwood presents an exclusive ruddily artwork grain of wood that adds fine warmth and class to any interior furnishing. rozměr: 13,5 x 136 x 2130 mm V tomto provedení se můžou počty m2 v balení lišit podle dekoru. rozměr : 14 x 195 x 2200 mm. rozměr: 14 x 195 x 2200 mm.